Affordable Uniforms is Ohio’s medical uniform superstore and the country’s only scrub store franchise. 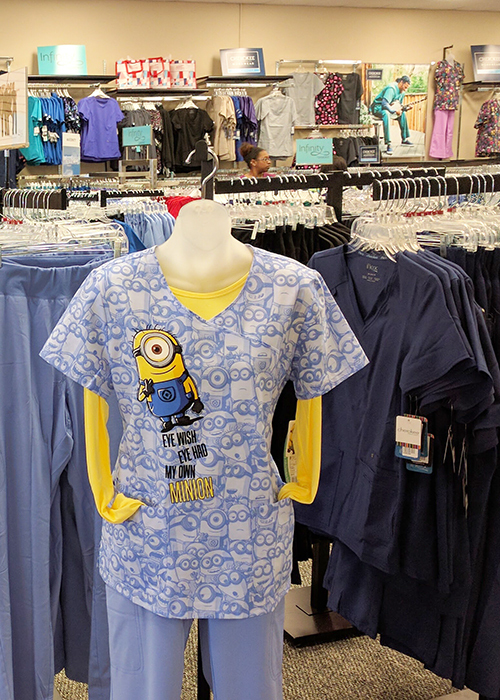 We specialize in providing the largest selection of medical uniforms, nursing shoes, and accessories, we strive for an extremely high level of customer service, all while saving the consumer money. Starting your own business can be challenging; you don’t have to do it on your own. Affordable Uniforms’ franchise system helps to protect your business investment and saves you money through the buying power of our existing franchises and our developed franchise system. Affordable Uniforms has been selling great, fashionable scrubs since 1995; we have years of experience to share with our franchisees. Our President has been working with uniforms for over 30 years and has opened many Affordable Uniforms retail locations, negotiated leases, and created the Affordable Uniforms On Site division.